An overview of the Sawyer Filter distribution for Charkint District. 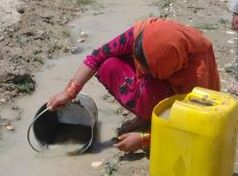 An overview of how JDA is improving community health through the training of women and men in WASH and other activities. Distribution of Sawyer Water Filters for Karnail Sai Village in Balkh Province took place on October 29, 2016. Osiyo Hamkorlik participated in the distribution along with JDA's WASH Team. A recap of our 2015 activities in Hygiene and Sanitation education, Birth Life Saving Skill education and WASH in Schools. We are happy to have Bill O'Brien as a short term volunteer. Bill is a Water Engineer from California who helped us conduct a well drilling and hand pump repair refresher course. 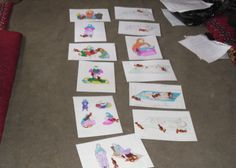 A total of 13 trainees assisted. Each year on October 15, over 200 million people are involved in Handwashing Day celebration around the world. The purpose of this day is to increase awareness and understanding about the importance of handwashing with soap as an effective and affordable way to prevent diseases. As part of JDA’s efforts to maintain the wells in good working condition, we provided hand pump repair training for those communities in which a well was drilled. 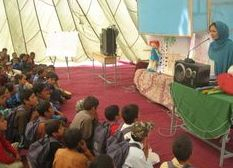 Children watched and listened to the speaking microbe puppet and understood how it came from a dirty environment, especially latrines and how the microbe could spread disease. JDA creates partnerships with organizations who do not have their own people on the ground, but want to build schools or drill wells. Our staff provide the local knowledge, resources and skills, and the partner the funds. Support JDA's Afghan women trainers who are teaching the basics of hygiene, family planning and pregnancy care for mother and child. 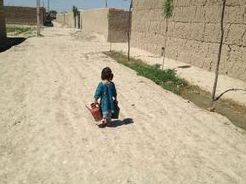 Illiteracy, lack of medical care and life in remote and poor rural areas compound the issue for many women. What do those statistics mean? 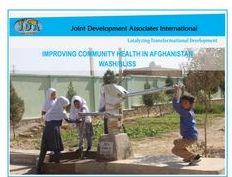 JDA's WASH program is an Afghan-led solution to a local and very urgent problem, which once addressed has enormous life-changing impact on child mortality and family health. All donations to Joint Development Associates International (JDA) are completed gifts which will be used to advance the purposes of JDA. Funds received in excess of project needs may be used where most needed. Donor designation will be honored to the fullest extent possible. No goods or services were received in consideration of these donations. JDA is a tax exempt 501 ( c) ( 3) charitable organization, Federal ID 84-1286934, recognized by the United States of America Internal Revenue Service.